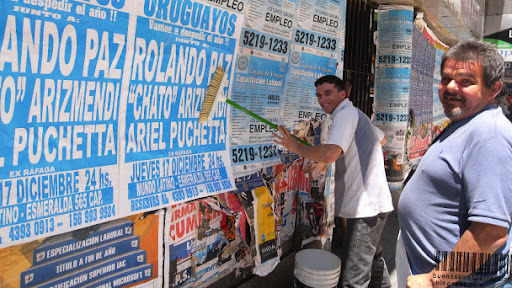 I met these friendly gentlemen in downtown Buenos Aires while they were sticking posters on walls in the shopping street Florida. They aroused my attention because they were working together hand in hand so well, emphasizing what teamwork is all about. Both were accurate, precise, and pretty fast. It was just half a minute and the whole wall was done. As soon as they recognize me they began to pose to give me a chance to picture them. The posters, by the way, announce a concert with Rolando Paz, "Chato" Arizmendi and Ariel Puchetta to end the year with Latin music. Well, I'm not familiar with any of these musicians but I suppose they are popular in Uruguay because it seems the event is specifically aiming at Uruguayos living in Buenos Aires. Thank you for the picture, guys! 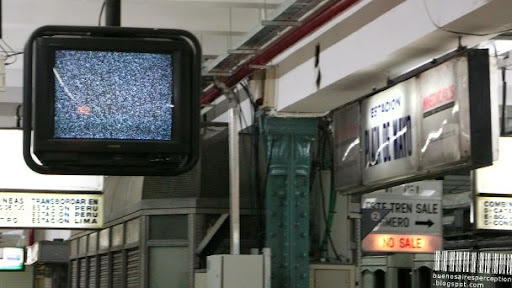 Buenos Aires is awash with public TV screens. Like it or not, you will encounter them virtually everywhere. One might think these screens are entertaining while waiting for the next train but in fact it's just annoying. One would wish that all these blatant screens would snooze soundly for awhile. The TV screen in this picture is obviously waiting for a signal to get back to broadcasting. The rather quiet specimen caught my attention exactly because it was so silent and waiting for a signal. Whenever I see this white noise image I kind of feel reminded of my childhood. I remember that I sometimes imagined those black and white dots were fighting each other and there was not a ghost of a chance of winning for either side. The first of the month has arrived, and it is City Daily Photo Theme Day. December 2009 theme day is Waiting. If you like to see other interpretations of this subject Click here to view thumbnails for all participants. The subway network of Buenos Aires could be larger but at least the city is lucky to have a functioning underground transportation system that covers a large part of the city already. While four long lines lead straight to and from downtown Buenos Aires, there are two other lines that expand vertically. That is a good start but not yet sufficient. The city definitely needs more circular connectors between the radial lines. This would make public transport a lot easier, faster, and more efficient. 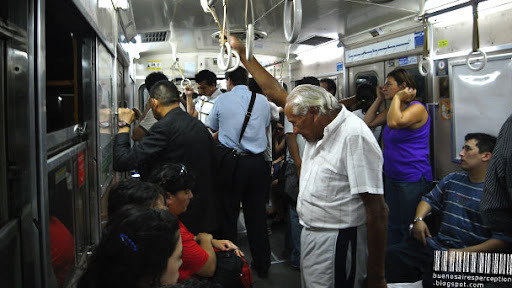 Anyway, I love to tour around with the Subte. It tells so much about the people and the city. 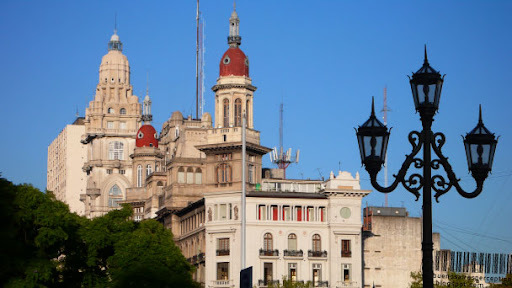 Speaking of clichés, media and travel industry have created an image of Argentina and Buenos Aires in particular that consists mainly of tango, great food, great wine, great architecture, and great people. They tend to blank out all the not-so-nice parts of the city and the country. This is as unrealistic as expecting a crocodile to turn vegetarian. For many Argentines this city is a place to struggle to survive just like any other city in the world. The problem is universal: too much to die on but too little to live on. So, when you want to look behind all those clichés you have to leave the typical tourist routes. Don't be afraid. You will be surprised! 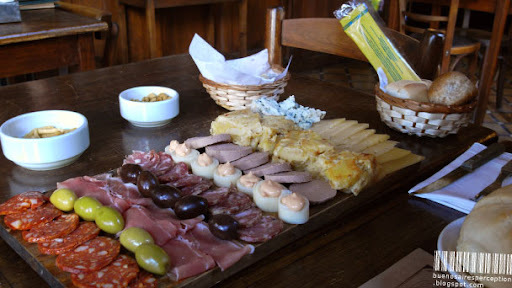 A picada is a typical Argentine meal or pre-meal and perfectly fits to satisfy a growling stomach. Having it with friends is a fine Argentine tradition. Basically, a picada consists of a selection of hors d’oeuvres to munch on. It can be as simple as a few cold cuts and cheese or very opulent with many different items. This particular picada in the picture had some slices of salami (chorizo and salchichón), cured ham, cheese (Roquefort and Emmental), green and black olives (with pits), leberwurst (liver sausage), Spanish omelet (tortilla de patatas), vegs with mayonnaise and peanuts. It usually comes with bread. Oh, and don't forget to order a bottle of good red wine for you and your friends. That will make this typical Argentine dish even more authentic and tasty. 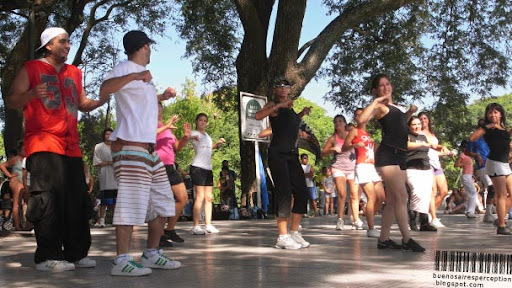 Truth is Argentinians simply LOVE to dance. And yes, this is absolutely a true cliché. I have seen many people--young and old alike--shaking their bones in public places at day or night or in between. This must be their favored way to "de-stress" from the hectic but exciting life in Buenos Aires. I love watching them! This bunch of Porteños, however, was rather exercising than dancing "drilled" by some demanding dance instructors. Everybody could participate in this lesson for free. The guys did a wonderful sweat-inducing job and, obviously, everybody had a great time. They definitely rocked the crowd! The Buenos Aires skyline is relatively young and yet incomplete. 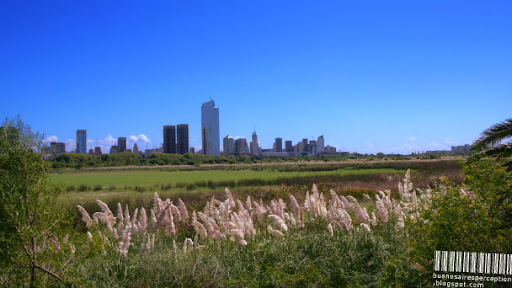 The best view is either directly from the Río de la Plata or from the Costanera Sur Ecological Reserve as in this case. This huge peaceful morsel of nature was formed by landfill from demolished buildings during the 1970s. Since then it developed itself into a biodiversity hotspot. It's ornithologist's paradise and an important bird area. Sadly, the biggest threat to this park is the skyline itself that comes ever so close. Let's hope the property sharks will keep their greedy hands off the nature reserve.